Home › Photo and art albums › PHOTO ALBUM: Арктика!!! Arctic!!! SKU: books-467. Category: Photo and art albums, Red Army. Title: Арктика !!! Arctic !!! The Arctic policy of Russia is the domestic and foreign policy of the Russian Federation with respect to the Russian region of the Arctic. The Russian region of the Arctic is defined in the “Russian Arctic Policy” as all Russian possessions located north of the Arctic Circle. (About one-fifth of Russia’s landmass is north of the Arctic Circle.) Russia is one of five countries bordering the Arctic Ocean. In 2011, out of 4 million inhabitants of Arctic, roughly 2 million lived in arctic Russia, making it thus the largest arctic country by population. However, in recent years Russia’s Arctic population has been declining. The main goals of Russia in its Arctic policy are to use Russia’s Arctic as a resource source, protect its ecosystems, use the seas as a transportation system in Russia’s interests, and ensure that it remains a zone of peace and cooperation.Russia currently maintains a military presence in the Arctic and has plans to improve it, as well as strengthen the Border Guard/Coast Guard presence there. 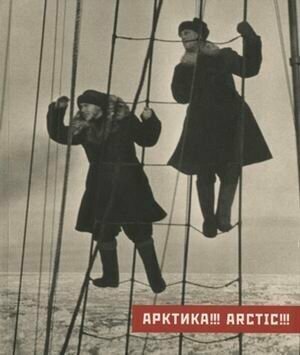 Using the Arctic for economic gain has been done by Russia for centuries for shipping and fishing. Russia has plans to exploit the large offshore resource deposits in the Arctic. The Northern Sea Route is of particular importance to Russia for transportation, and the Russian Security Council is considering projects for its development. The Security Council also stated a need for increasing investment in Arctic infrastructure. Russia conducts extensive research in the Arctic region, notably the manned drifting ice stations and the Arktika 2007 expedition, which was the first to reach the seabed at the North Pole. The research is partly aimed to back up Russia’s territorial claims, in particular those related to Russia’s extended continental shelf in the Arctic Ocean.